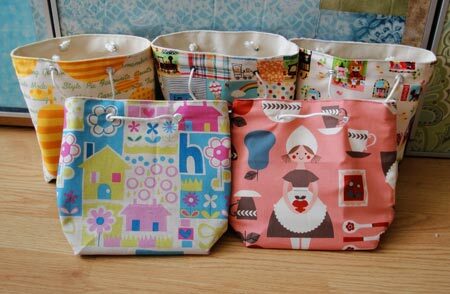 I ended up making some more of the lunch totes and took process pictures to create a free tutorial. *If you want to make your own tote, but a different size, I've tried to include my thought process to help you think through your own measurements.. Finished Dimensions: 7" x 8.25" x 3"
If your fabric has a pattern that runs vertically, but no distinguishable up or down pattern (e.g. stripes), you can cut the piece using the same patterns as your bag interior. Otherwise, you will need to cut two pieces that are each 10.75" wide x 11" tall. 1. Cut your canvas bag lining. 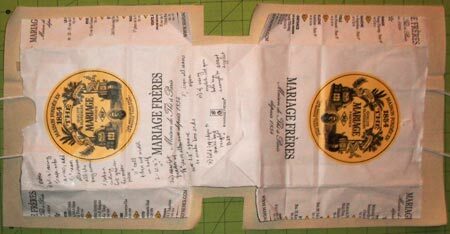 In this case, I simply cut open the desired bag shape to use as a pattern and traced all around the resulting shape, adding a 1/2 inch seam allowance. If I didn't have a bag as a ready-made pattern, I could use some basic math to figure out the correct pattern size. 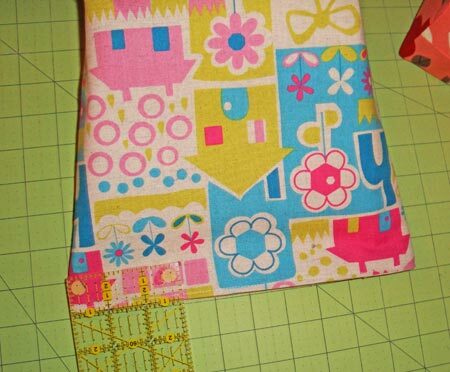 Example: the finished bag is 8.25" tall x 7" wide x 3" deep. So to get the length of the needed canvas, add two heights + depth + 1" seam allowance for each side. 8.25" + 8.25" + 3" + 1" + 1" = 21.5"
To get the width of the canvas, the widest part of the bag is 7", but the bag is also 3" deep. 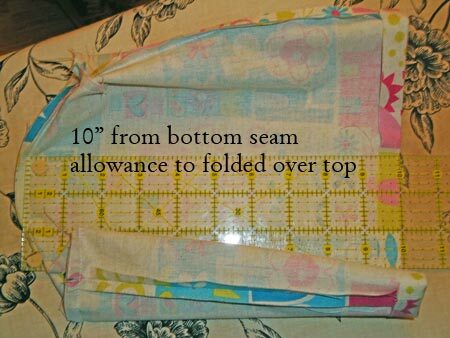 So add the width plus the depth plus the sewing seam allowance for each side. 7" + 3" + .5" + .5" = 11"
The middle part is actually the bottom of the bag, which is 3" deep and 7" wide. 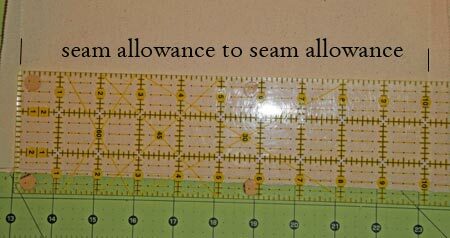 So add the seam allowance to your pattern. 7" + .5" + .5" = 8"
2. Sew the sides of the canvas bag lining. Fold the resulting shape in half. 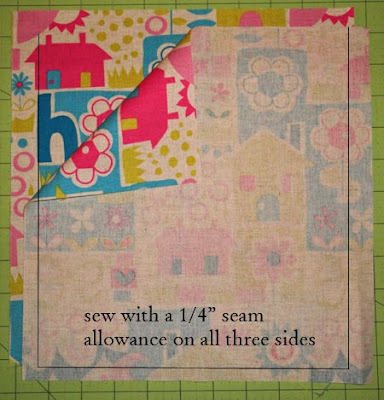 Sew with a half inch seam allowance on only the sides of the folded piece. 3. Press open the seams on the canvas bag lining. I just took the bag, opened it up and slid it over the narrower side of my ironing board so that the iron could glide over the seam. 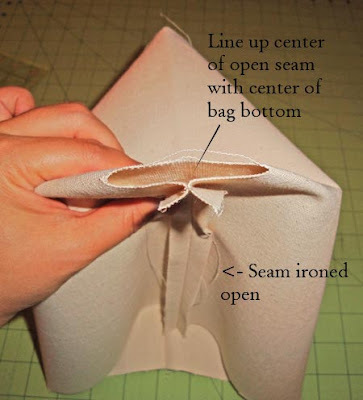 Opening the seams makes sewing your boxed corners much easier and neater and creates cleaner lines. 4. Sew your boxed corners. 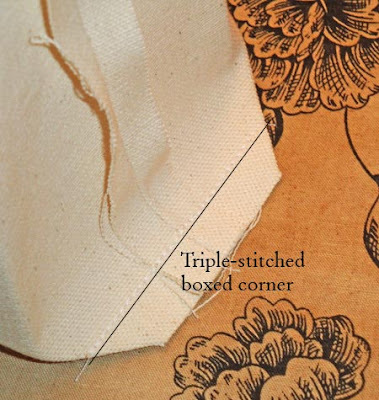 When you pressed open your seams, your lining will naturally start creating a box shape. Help the shape along by lining up the center seam of your side panels with the center of the bottom. 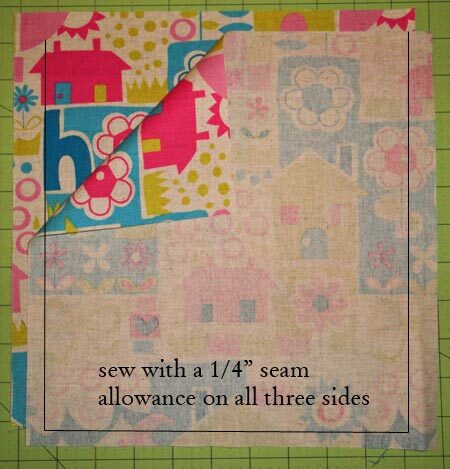 Sew a half-inch seam allowance. 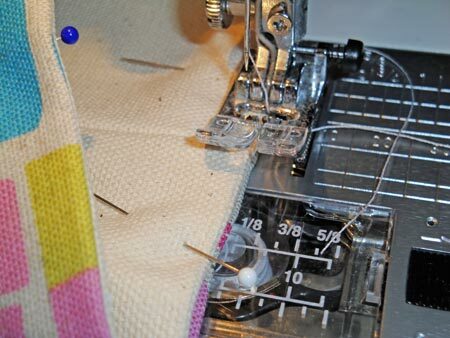 If your sewing machine has one, use a triple stitch or other reinforcing stitch. Otherwise, just sew over the line a few times. 5. Cut your bag exterior. Using the canvas lining as a starting point, fold the lining flat to figure out the length and width for the exterior fabric. 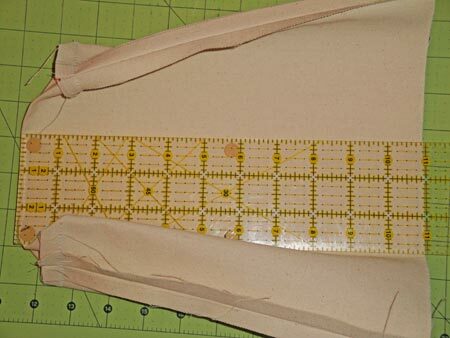 Example: Once this particular shape was flattened, I could measure from the bottom of the lining to the top: 11". And measuring from one side's seam allowance to the other: 10". Because I wanted to use a fat quarter, I tried to get away with the smallest seam allowance possible - 1/4 inch - to figure out what size pieces I needed to cut. Thus, two pieces that are least 11.5" x 10.5". However, a 1/2 inch seam is more secure. 6. Sew your bag exterior. 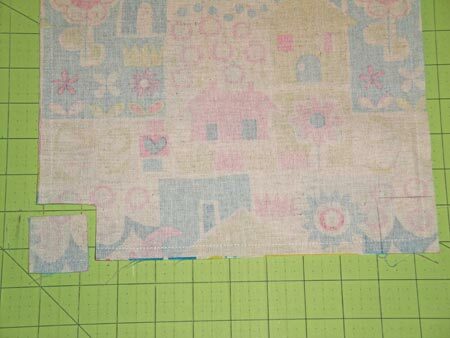 Lay your pieces right sides together and sew the sides and bottom using your determined seam allowance (1/4 inch in this tutorial). 7. Box your corners for the bag exterior. Having sewn all three sides to create a stable shape, this is when I like to create my boxed corners. 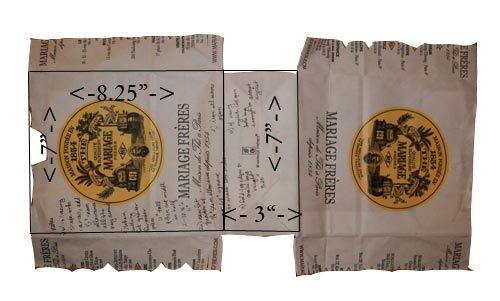 My bag is 3" deep, so to get the correct size boxed corner, divide the depth in half (1.5" in this example) and using scissors or a rotary cutter cut out a 1.5" square on each bottom corner. 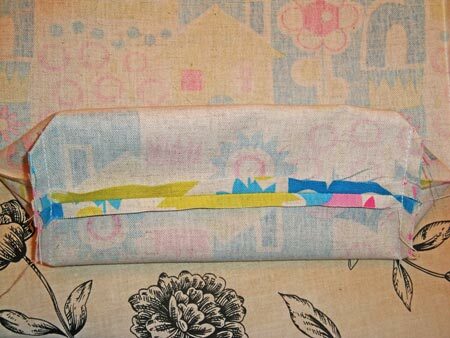 Press open all your seams and sew your boxed corner just as you did for the canvas lining. 9. Fold over the top of your canvas lining. 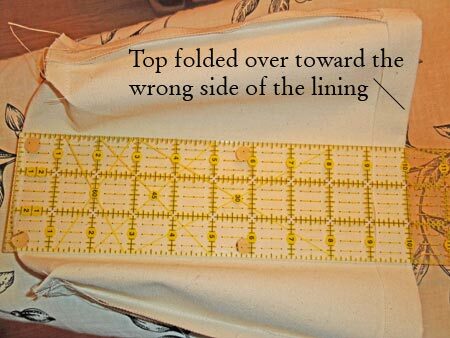 Fold over the top of your canvas lining toward the wrong side of the fabric by about an inch on all sides. Press the fold flat. Then as in the picture above, fold the lining flat to measure the distance from the bottom of the bag to your new top. In this case 10". You will need to fold the top of your exterior bag fabric so that it finishes at the same length. 10. 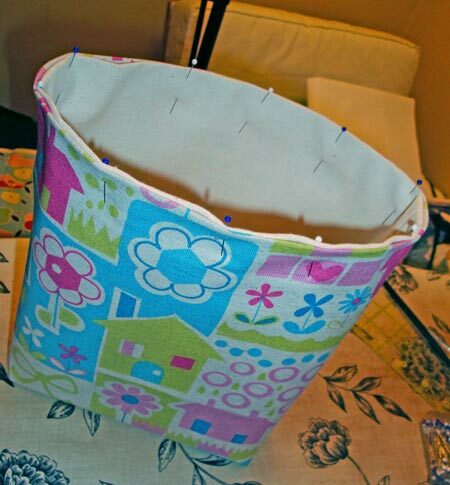 Fold over the top of your exterior bag fabric. Knowing that the lining and exterior bag fabric have to be the same length, I need to fold over the top just enough so that it finishes at the same size as the lining. 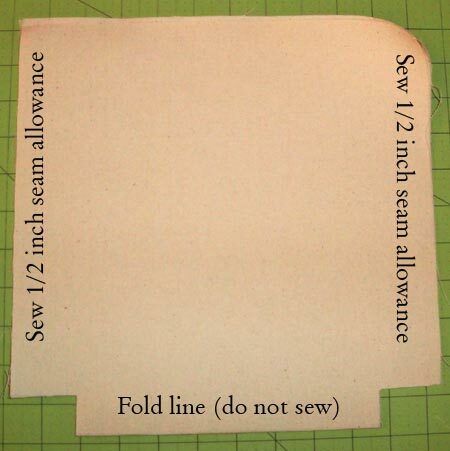 Measure from the bottom seam allowance and then fold over the top by the right amount. Press the fold flat. 11. Insert the canvas lining right side up into the exterior bag fabric and pin together. Press flat the boxed corner for the exterior bag fabric. 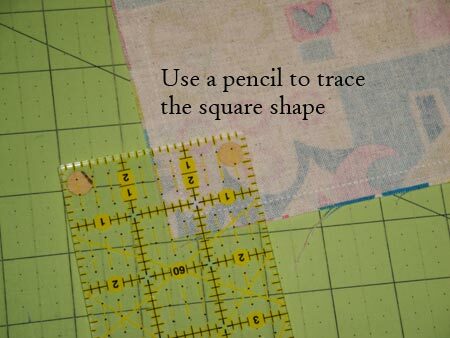 For the lining, press the boxed corners toward the bottom of the bag. Line up the center of the seams of the lining with the center of the seams of the exterior bag fabric. Pin generously. 13. Topstitch all the way around the bag. Sew slowly and topstitch about 1/4 inch from the top of the bag all the way around the close the gap between the lining and exterior. To help hide the start and stop sewing marks, I like to begin and end at one of the side seams. 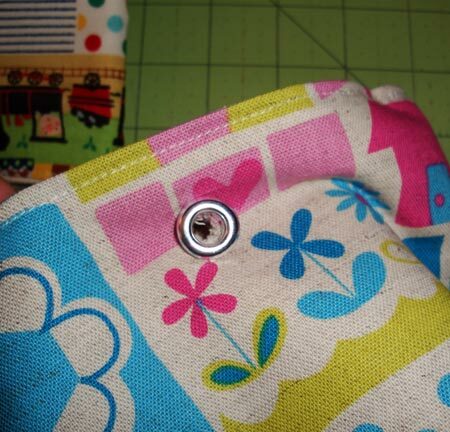 To make handles for your tote, you can sew in your handles while you are topstitching around the bag. 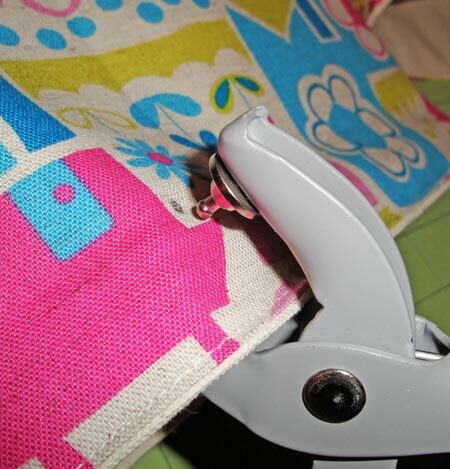 Just insert your handles between the lining and bag exterior and make sure that they are placed evenly apart. Or you can continue on to the next and final step to install eyelets to create rope handles. Mark and measure the placement of your eyelets. Here I measured 3" from the side and 1" from the top on all sides to mark the placement of my four eyelets. Using an eyelet plier or similar tool, punch out a starter hole for your eyelet. Then fiddle with the hole until it is the right size for your eyelet.Then using the eyelet plier again, press the eyelet securely into the fabric. 15. Tie your rope handles. Make sure that the rope fits into your eyelet. Cut two pieces of rope about 14" in length. Thread each end of the rope through the eyelets and double knot the ends. 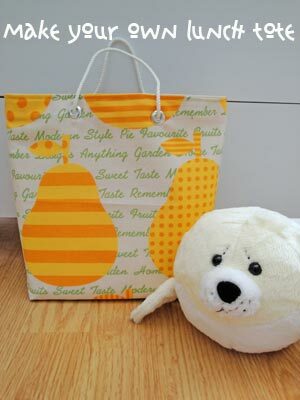 And now that you know how easy these totes are to make, sew a bunch assembly-line style to have on hand as needed. As an aside, the fabrics for the lunch tote are Japanese fabric fat quarters I purchased at the Long Beach Quilt Festival. The vendor is Momen Plus and turns out that the store is in Torrance. Who needs to travel to Tokyo to get a fabric fix, when this store with all of its fabric goodies is just a short drive away?